Kershaw, originally Welsh’s Station, was founded in 1888 when Capt. 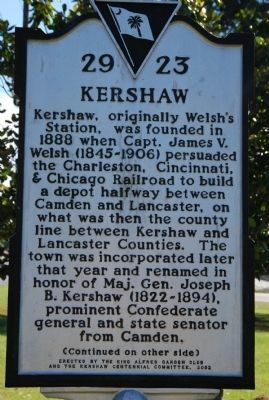 James V. Welsh (1845-1906) persuaded the Charleston, Cincinnati, & Chicago Railroad to build a depot halfway between Camden and Lancaster, on what was then the county line between Kershaw and Lancaster Counties. 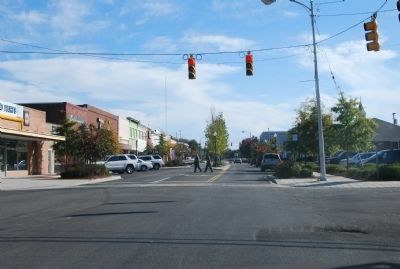 The town was incorporated later that year and renamed in honor of Maj. Gen. Joseph B. Kershaw (1822-1894), prominent Confederate general and state senator from Camden. 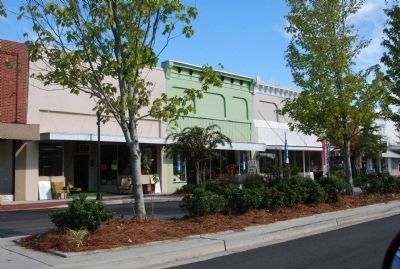 Kershaw, with a population of 500 by 1890, grew even more dramatically after an 1897 fire which destroyed most of the downtown. 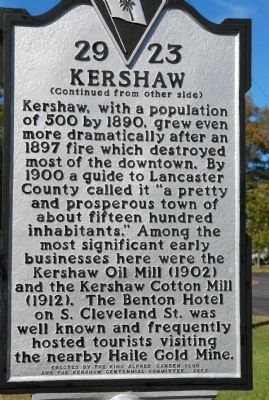 By 1900 a guide to Lancaster County called it “a pretty and prosperous town of about fifteen hundred inhabitants.” Among the most significant early businesses here were the Kershaw Oil Mill (1902) and the Kershaw Cotton Mill (1912). The Benton Hotel on S. Cleveland St. was well known and frequently hosted tourists visiting the nearby Haile Gold Mine. 34° 33.696′ N, 80° 35.256′ W. Marker is in Kershaw, South Carolina, in Lancaster County. 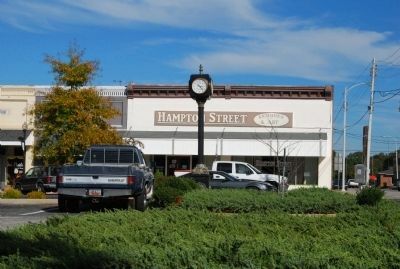 Marker is at the intersection of North Hampton Street and North Matson Street, on the right when traveling south on North Hampton Street. Touch for map. 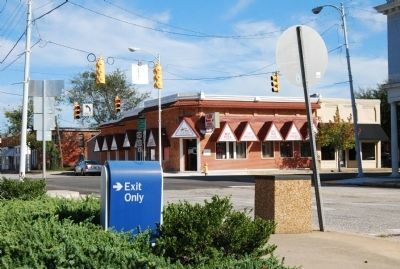 Marker is in this post office area: Kershaw SC 29067, United States of America. Touch for directions. Other nearby markers. At least 8 other markers are within 7 miles of this marker, measured as the crow flies. Welsh's Station / Kershaw Depot (approx. one mile away); Kershaw's First Library (approx. one mile away); Haile Gold Mine (approx. 2.1 miles away); The Battle Of The Hanging Rock (approx. 4.2 miles away); Beaver Creek Skirmish / Capture of Provisions at Flat Rock (approx. 4.3 miles away); James Ingram Home (approx. 4.9 miles away); Battle of Hanging Rock (approx. 5.3 miles away); Birthplace of Dr. James Marion Sims (approx. 6.1 miles away). Touch for a list and map of all markers in Kershaw. Editor's Note: Please contact Mr. Walker through the "Add commentary" link above or by contacting the editors. — Submitted May 7, 2010, by Paul Latimer Walker of Charlotte, North Carolina. — Submitted March 11, 2019, by Miles Gardner of Kershaw, South Carolina. More. Search the internet for Kershaw. Credits. This page was last revised on April 14, 2019. This page originally submitted on October 31, 2009, by Michael Sean Nix of Spartanburg, South Carolina. This page has been viewed 852 times since then and 23 times this year. Photos: 1, 2, 3, 4, 5, 6. submitted on October 31, 2009, by Michael Sean Nix of Spartanburg, South Carolina. • Bill Pfingsten was the editor who published this page.